Online – Use your Home Banking Account or our Mobile App to make a “transfer” to your loan. 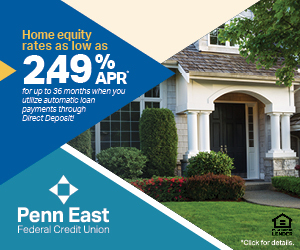 Mail – Send a check along with the payment coupon to Penn East FCU, 1070 Northern Boulevard, Clarks Summit, PA 18411. Call Us – We can transfer the funds over the phone from your PEFCU account. Audio Response – You can use Audio Response at 570-343-6277. **A $3.00-$5.00 fee will be assessed.